Sunday September 26th 1971: Gil Hodges third place Mets (82-77) were not making the post season after another good season, but they were still going to give the fans some thrills. 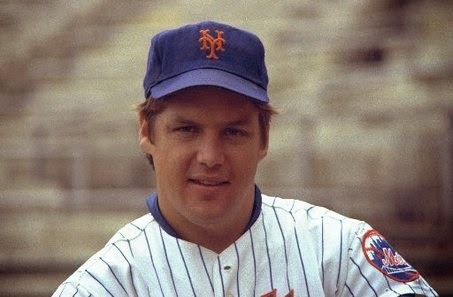 Their pitching star; "The Franchise" Tom Seaver, was having another outstanding season. 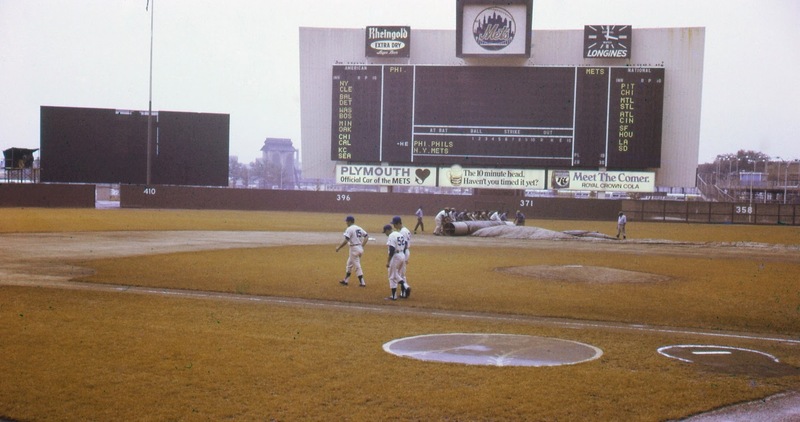 Seaver (18-10) was taking on Steve Blass (15-7) of Danny Murtaugh's first place & eventual World Champion, Pittsburgh Pirates in front of 30,519 at Shea Stadium. 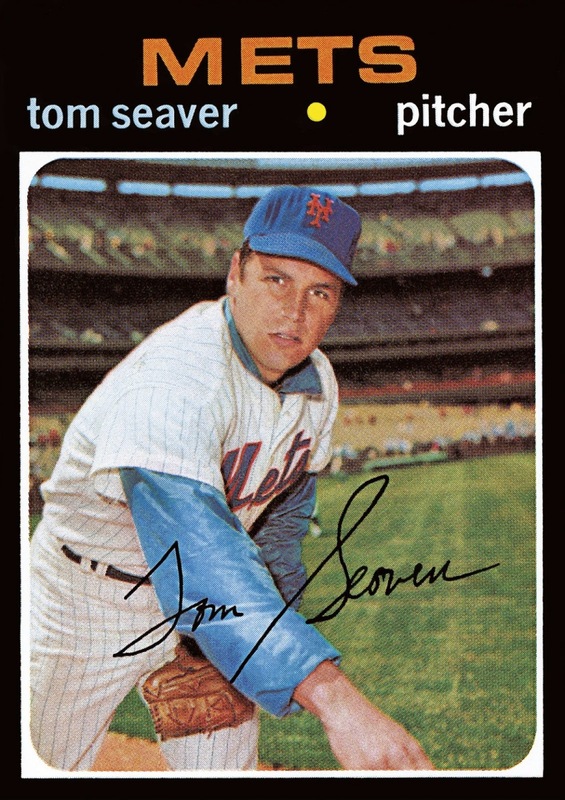 Seaver was outstanding, thrilling the fans once again. 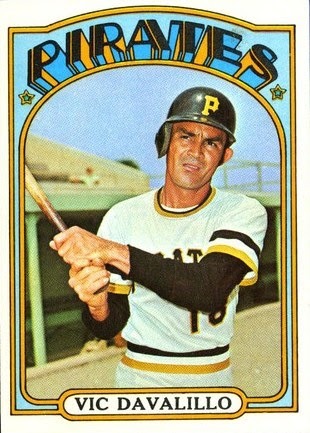 In the 1st he struck out Dave Cash & Vic Davalillo. Seaver rolled along, in the 5th inning he struc out the side; Willie Stagell, Milt May & Bob Robertson. He also had not allowed any hits & once again was fliritng with a perfect game. In the 6th, the crowd began to stir & the tension was back in the air. Seaver struck out Jose Pagan & Gene Alley. He then got Steve Blass to ground out. By now the Mets offense had provided Seaver with three runs. In the 1st, Ken Singleton & Cleon Jones both singled. Don Clendenon singled as well bringing in the 1st Mets run. In the home 5th, Seaver walked & advanced on a sacrafice. Cleon Jones brought him in with a base hit & Tommie Agee followed with another RBI hit making it 3-0. As Seaver took the mound in the 7th, he recieved a big ovation. The perfect game was ruined when he walked Dave Cash. Then Vic Davalillo spoiled the no hit bid with a single to right field. The crowd gave Seaver a standing ovation & he went back to work. Al Oliver hit an RBI sac fly to centerfield making it 3-1. That would be it, Seaver would finish out the game with a one hitter, his third career one hit game for the Mets & the eighth one hitter in Mets history. Seaver struck out ten & walked one inthe 3-1 win, earning his 19th win of the year. Thursday September 30th 1971: On the last day of the season, Tom Seaver went out & got his 20th win of the season, in a 6-1 win over the St. Louis Cardinals (90-72). 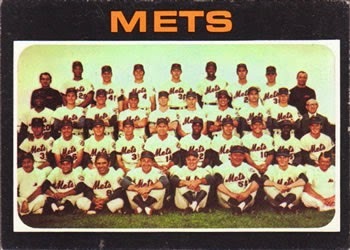 The Mets (83-79) hosted the Cards in front of 42,344 at Shea Stadium in an 8:05 evening start. With the Mets eliminated from the post season, the fans came out not only to show appreciation for the club but for their love of Tom Seaver. Every time Seaver took the mound something special could happen & toight they wanted to witness him win #20. Seaver's fastball was blazing once again tonight, he struck out two Cards in the 1st & three in the 2nd inning. In the 4th he struck out two more & had a strike out in every inning except the 6th & 9th innings. He would finish with 13 Ks on the night, going into double figures in strike outs for the 13th time on the season. He would finsih the year with a career high 289 strike outs, leading the NL for the second straight year. He would also lead the league in ERA with a 1.76 average, his second straight ERA title as well. The 20th win was the second time he reached that mark in his young career as well. The Mets offense was powered by Ken Singleton who hit two HRs, a 5th inning solo shot & a 6th inning three run blast, his 13th of the year. Young Tim Foli also had two RBIs with a bases loaded single in the 6th.